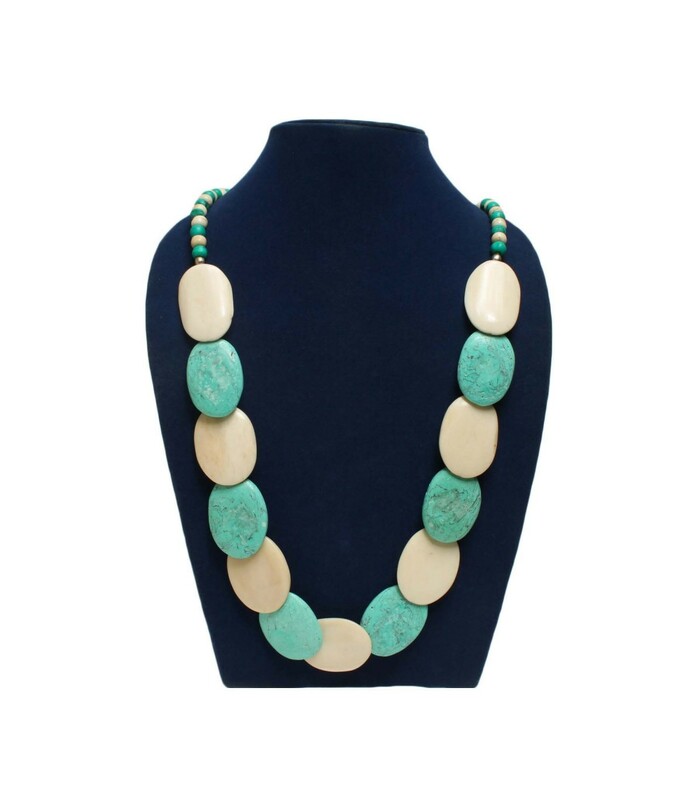 Statement neckpiece perfect accessories to complete your beach look. 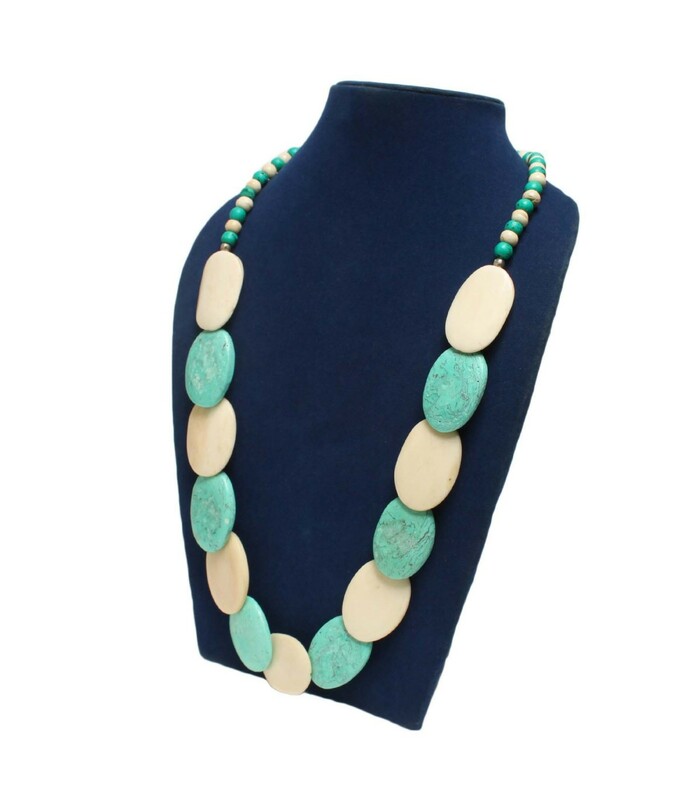 Turquoise and white oval shaped bone chips are alternatively combined together forming a captivating necklace. 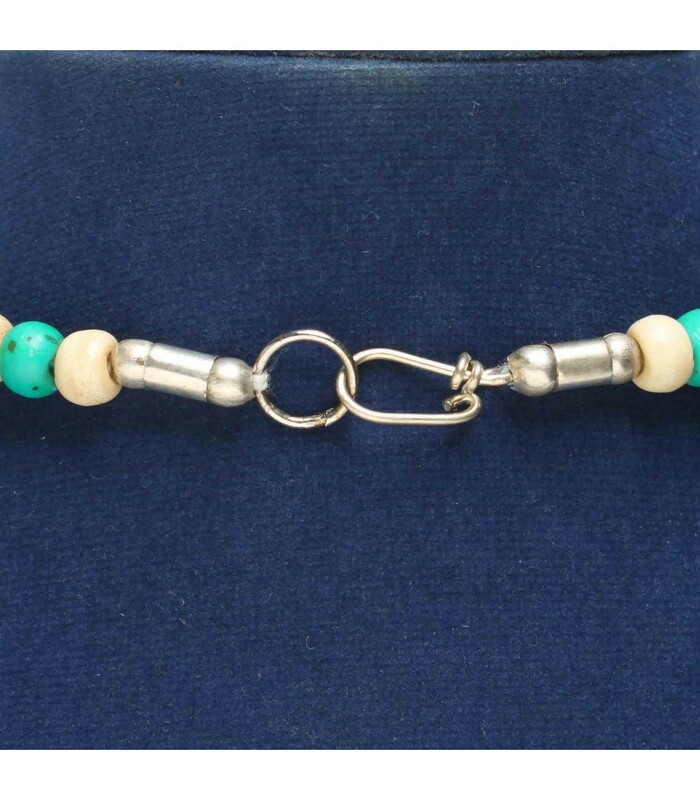 The necklace is hand-made and measures 24” by circumference.